Being able to fully irrigate a crop is like having a security blanket. Across the Ogallala aquifer region, however, some producers are irrigating less or anticipate that they will need to do so in the future, due to practical reasons (their pumps yield less than they used to) or policy constraints (they are limited in their allocations). For these producers it is critical to figure out how to increase resiliency and maintain productivity while using less water. Many factors must be considered when shifting away from fully irrigating crops, including crop selection and rotation, tillage methods, irrigation techniques and timing, and more. At a fundamental level, it’s also worth asking: how does soil change when it receives less water, and are these changes important for productivity on farms? 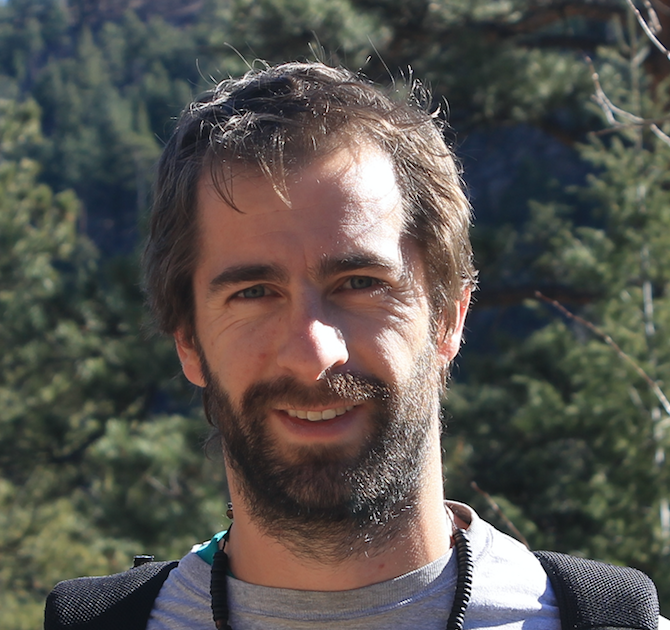 Agustín Nuñez, a PhD student based at Colorado State University, is investigating these questions as part of the USDA-​NIFA funded Ogallala Water Coordinated Agriculture Project’s (OWCAP) soil health team. More specifically, Nuñez’s research is focused on how water — or a lack of water — affects soil carbon and nutrient cycling. Working with farmers in eastern Colorado, Nebraska, and western Kansas, Nuñez is sampling soils from their fields which have converted over to dryland management from irrigated production. Dryland pivot corners and nearby irrigated and dryland fields are also sampled for comparison. Nuñez is gathering a detailed field history to back up each sampling time point. He only needs to take one sample from each site; this convenient protocol doesn’t require farmers to make any changes in their field management, but it does permit Nuñez to evaluate the “accumulated legacies” of the influence of irrigation on soil carbon and nitrogen dynamics. Nuñez is currently looking for more farmers in eastern Colorado, Nebraska, and western Kansas who are willing to participate in his study. The more farms he samples, the more likely it is that the “signal” of the influence of reducing water applications on soil quality will be visible in the data generated from soil sample analysis. Ideal sampling sites include fields with a retired well and a known history (year of irrigation retirement, crop rotation, tillage system) that are currently cropped with dryland management or in CREP/​pasture. In addition to the general data generated from this study, producers will also be offered a brief report on the soil quality of their field(s). A short, detailed summary explaining criteria for site selection is available at this link. 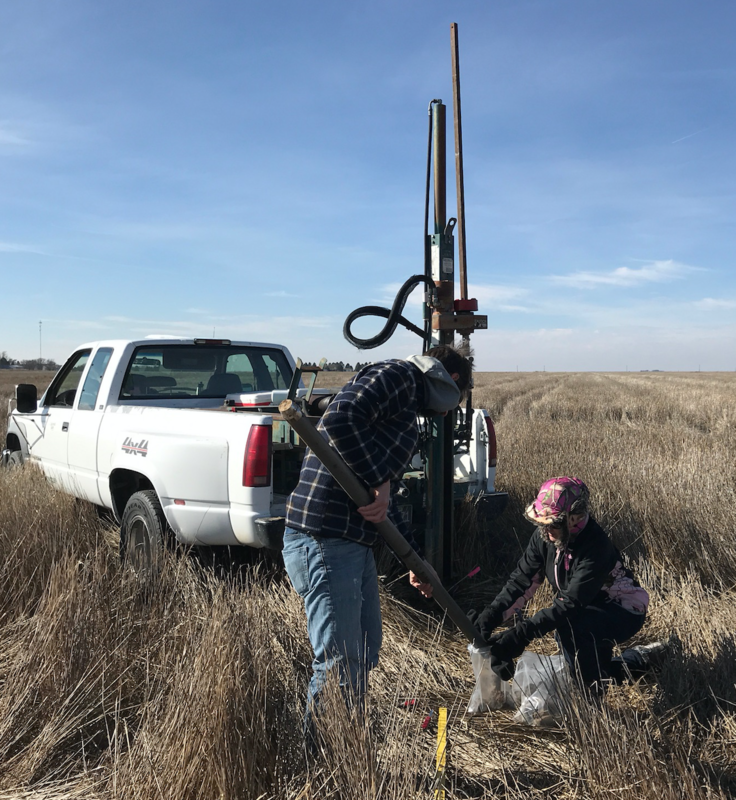 “On-​farm sampling can be a really powerful way to tease out where and how certain management practices really matter” with regard to soil quality, says Meagan Schipanski, Nuñez’s faculty mentor at Colorado State and OWCAP’s co-​director. If you can gather samples from enough farms, your data allow you to say more than if you’ve conducted research at just one controlled research station field site,” Schipanski says. More about Nuñez and his research. In addition to his on-​farm sampling, Nuñez is also carrying out an experiment at CSU’s Agricultural Research, Development and Education Center (ARDEC) in Fort Collins to provide a controlled look at the early changes in soil quality associated with ending irrigation. That experiment, which will be used to evaluate early changes in soil quality within and over a yearlong period, will generate interesting information to share and discuss with farmers. Back in the High Plains, in some cases, some producers who are short on water are eligible to benefit financially if they opt into Federal incentive programs that encourage well retirement. Though they are coming from decidedly different vantage points, producers from the Ogallala region and Uruguay are similar in that, on issues of water and soil quality, they must identify production limitations and choose crops and sequences of crops or grazing approaches that will benefit their operations, reduce erosion, and maximize water use efficiency in the near- and long-​term. “Having better information can motivate producers to maintain better soil quality, if it’s clear how doing so is in their best interest and what the related production pathways might be,” Nuñez says. Are you Interested in having your field(s) sampled as part of Nuñez’s research study? Please contact Agustín Nuñez at Agustin.​Nunez@​colostate.​edu.